The Veteran Voice of the Octagon, the host of “It’s Time! 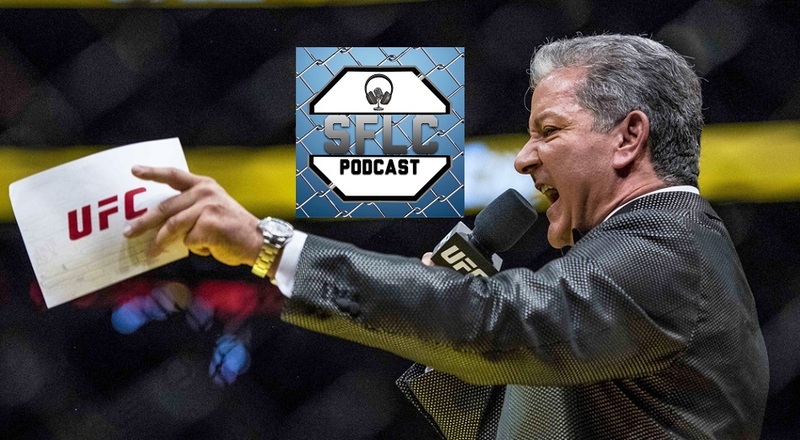 With Bruce Buffer”, author, poker player and the list goes on, Bruce Buffer joins us on this episode of the SFLC podcast. We have interviewed a lot of people in and around this sport, but I can say with all honesty, Bruce is quite possibly the most humble guy we have ever had the chance to chat with. It was truly an honor, and if you ever wanted to have this iconic figure of the UFC give you a “Championship Introduction”, like only he can do, go to brucebuffer.com, and get a personalized championship greeting for only $99!!!! Buffer talks UFC 204 headliner of Michael Bisping vs. Dan Henderson, cancellation of UFC Manila, upcoming UFC 205 fight card and more. Tune in above.